Win FREE bread for a year! 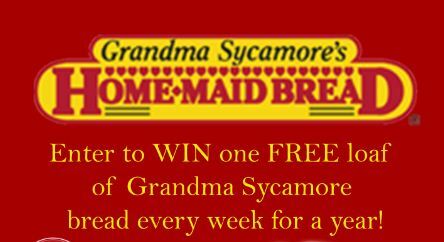 Enter to Win a Free loaf of Grandma Sycamore bread every week for a YEAR. 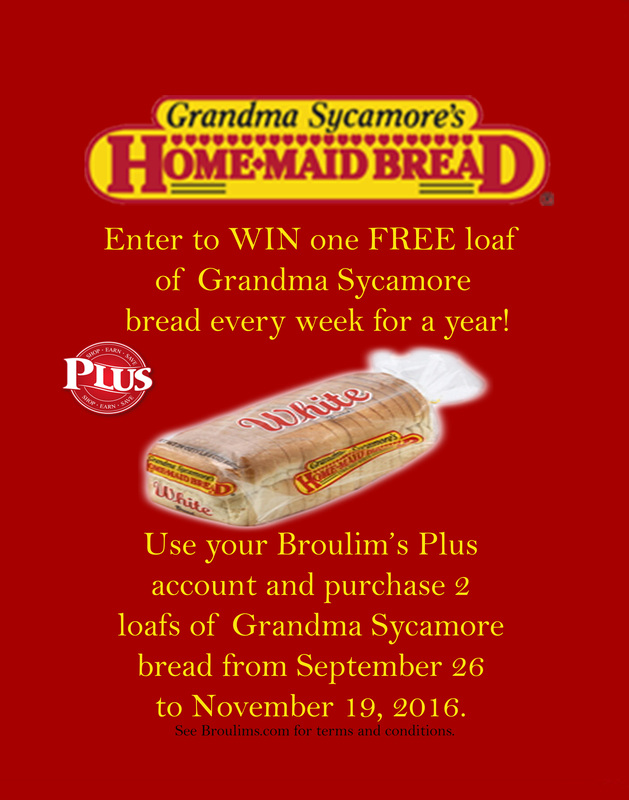 To enter be entered purchase you buy two loafs of Grandma Sycamore Bread and use your PLUS phone number during checkout. Click here to for Promotions terms and conditions and for no purchase neccessary. Enter today from November 19th! Looking for something fun to do on Monday? October 3 – 24, bring your Macey’s receipt to Cornbelly’s on Mondays for a discount on tickets! Enjoy the corn maze, pumpkin fest and Insanity Point haunts. Macey’s tailgater box is the perfect companion to any event! 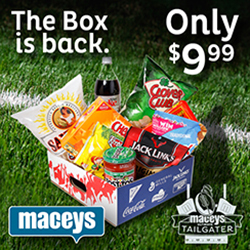 Grab a box at any Macey’s location for just $9.99! The box includes a whole variety of snacks that everyone is sure to love. For only 7 dollars you can get TWO 5 oz. bags of Werther’s Chewy or Soft Caramels, ONE bag of Diamond Almonds, ONE 30 ct pkg. Apple Sticks, and ONE can of Cake Mate Sprinkles. Whether it is for a family night, date night, or just a craving, this kit has all you need to make delicious caramel apples! 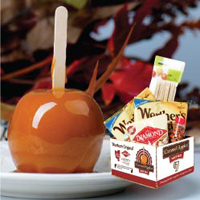 Come in from now until December 27th to stock up on everyone’s favorite fall treat! Johnson & Johnson Baby Gift Set Giveaway: Spend $10 on Johnson & Johnson from September 1-30, 2016 using your rewards account and be automatically entered to win a Johnson & Johnson Baby Gift Set. Chances of winning cannot be determined. The contest will end 9/30/2016. The winner will be named and alerted by email or phone. Associated Food Stores and Johnson & Johnson are not responsible for any injury or loss that may take place form participation in this contest or the use of any prize. Fuels your body and mind- Without breakfast you will be running on empty. Eating breakfast provides your body with energy it needs to make it through the day. 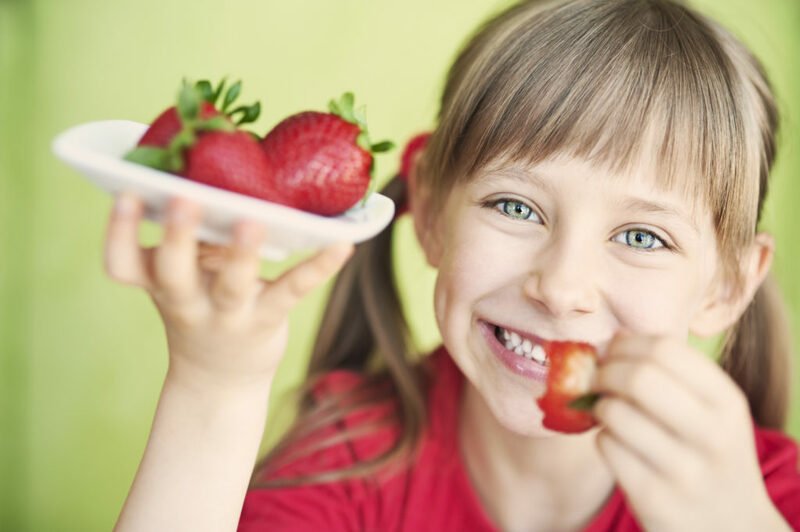 Eat better all day- When you eat a complete and nutritious breakfast you will find that you eat better and healthier throughout the day. Mood booster- Starting each day right with a delicious breakfast can help with mood swings throughout the day. Help your heart- Eating breakfast may prevent diabetes and lower blood pressure which makes for a happy and healthy heart. Maintain a healthy weight- Making breakfast an important part of your day prevents prolonged fasting or overeating at certain times of the day. When you start your day with breakfast you are most likely to eat regularly and healthy throughout the day which will help in maintaining a healthy weight. 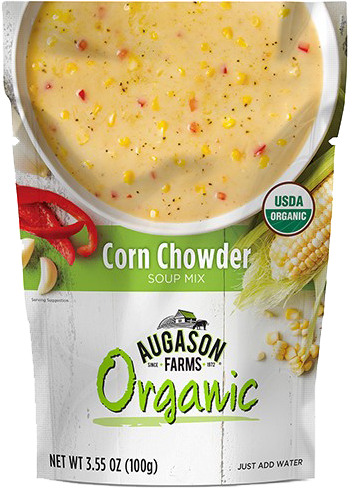 Augason Farms is excited to introduce their line of new Organic Soups. 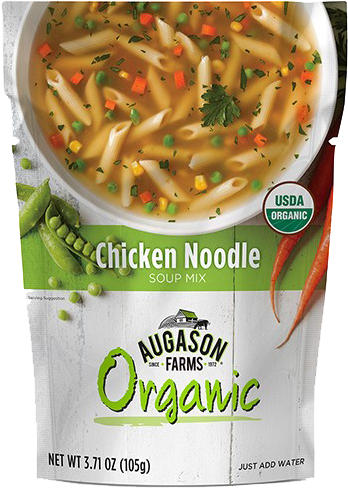 With so many families shifting their focus on eating more organic and clean foods, it makes sense that there should be more organic dry soup mixes. This line of organic soups is made with the very best and clean ingredients and is compatible with a healthy lifestyle. All you have to do is add boiling water and simmer for 15 minutes. This homestyle classic is just as wholesome as it is delicious. It has all organic ingredients— hearty penne pasta, tender carrots, sweet corn, peas and the perfect blend of onions, herbs and seasonings—artfully paired for a savory, satisfying experience with every spoonful. A favorite seasonal soup that’s making a comeback! 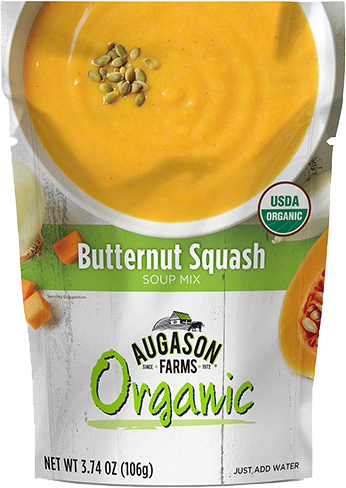 Our Organic Butternut Squash soup is an excellent source of nutrition derived from premium organic ingredients. It offers a rich taste of golden butternut squash, nutmeg, and other spices with a velvety smooth texture and mild peppery kick. Try it out as an early course for Thanksgiving dinner or portion out in mason jars to give to neighbors during Christmas time. All it takes to enjoy this favorite seasonal soup is boiling water and about 15 minutes! You can enjoy the melodious flavor of fresh fire-roasted red peppers that offer a hint of sweetness and smoky flavor. 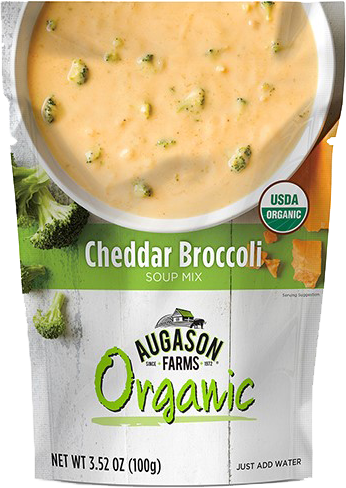 It’s never been easier to enjoy organic soup as a wholesome solution for quick lunch or dinner. You’ll be surprised that this fresh-tasting soup is easily prepared with a few cups of boiling water and in about 15 minutes.For some added texture, throw in some cooked orzo pasta or croutons. It’s also delicious with a little crumbled sausage on top. This is a scrumptious comfort food that offers a creamy, flavorful experience you can typically only get with its made-from-scratch counterpart! Whole corn kernels and red pepper bits combine for a wholesome take on a recipe you can feel good about eating. Indulge in a rich, cheesy favorite while knowing you’re feeding your family only the best organic ingredients. This heartwarming soup offers a smooth texture with tender broccoli chunks that tastes delicious as-is, or can be perfectly paired with a bread bowl or served over a baked potato for a quick, scrumptious meal. 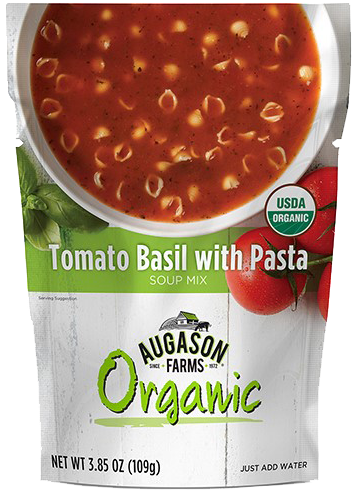 Our organic tomato basil soup mix gives you the garden-fresh taste of juicy tomatoes and basil along with perfectly done al dente shells for a light, yet filling meal. 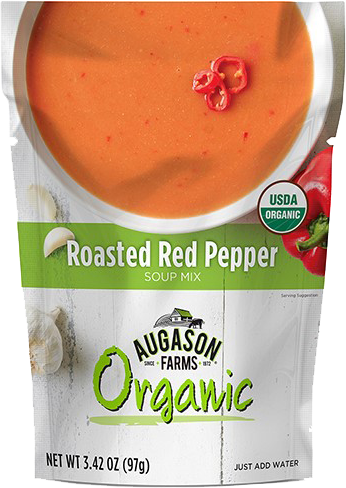 Keep Augason Farms Organic Tomato Basil Soup on-hand when you need a quick solution for a healthy, flavorful lunch or dinner. Best of all, you can enjoy this wholesome, organic soup in just minutes by simply adding to boiling water. 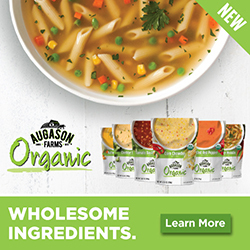 Quick, delicious and organic are not often three words put together when describing meals that only take 15 minutes, but with Augason Farms Organic Soups, that’s exactly what you’ll get. So stop by our store and stock up these soups today. 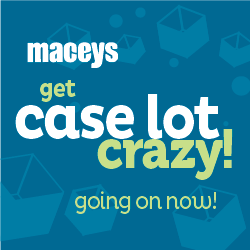 Macey’s case lot crazy sale has been extended for a third week due to popular demand. So empty your trunks and grab your helpers and head over to Macey’s and save through September 26*. Stock your pantry with great deals on food storage items and everyday items too. A few favorites you may enjoy. Get these for just $3.99 each. To see all our case lot items, take a look at our weekly ad or our case lot shopping list. For all our Macey’s Perks members, receive a $5 wallet credit when you spend $75** in one transaction. If you are not a Macey’s Perks member, sign up here and start saving today. **Excludes pharmacy and alcohol purchases. Did you know that you can earn Macey’s Perks points when shopping online with Macey’s Anywhere? To add your Macey’s Perks® phone number to your Macey’s Anywhere™ (Rosie) online shopping account, follow the steps indicated below. 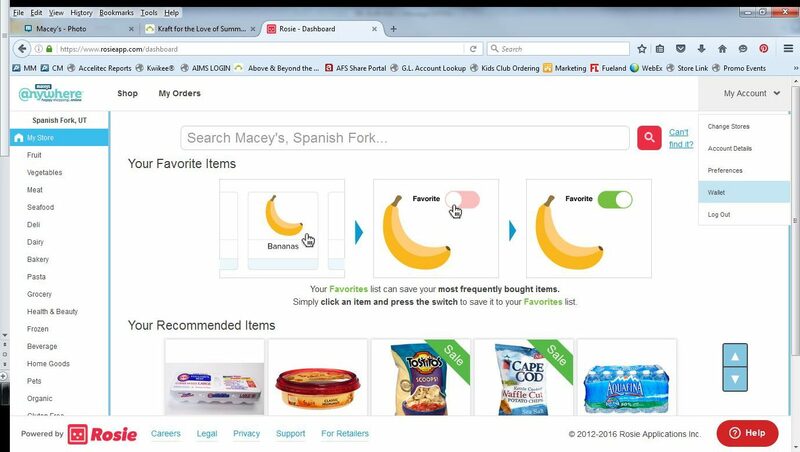 Step 1: Log into your Macey’s Anywhere™ account. Step 2: Click My Account in the top right corner. 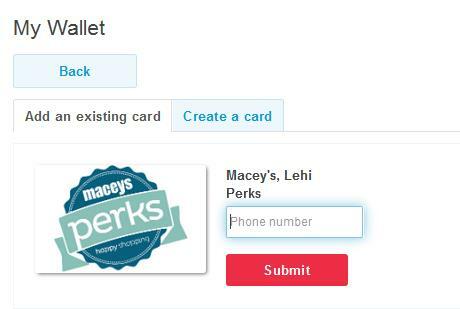 Step 4: If you are already a Macey’s Perks® member select Add A Card. Step 5: Enter your Macey’s Perks® phone number and select Submit. Note: If you are not currently a Macey’s Perks® member, you can sign up by selecting the Create a card tab. Your Macey’s Perks® account has now been added to your Macey’s Anywhere™ account and you are ready to start shopping. You will earn points and other rewards for your Macey’s anywhere orders, just like you would in-store. 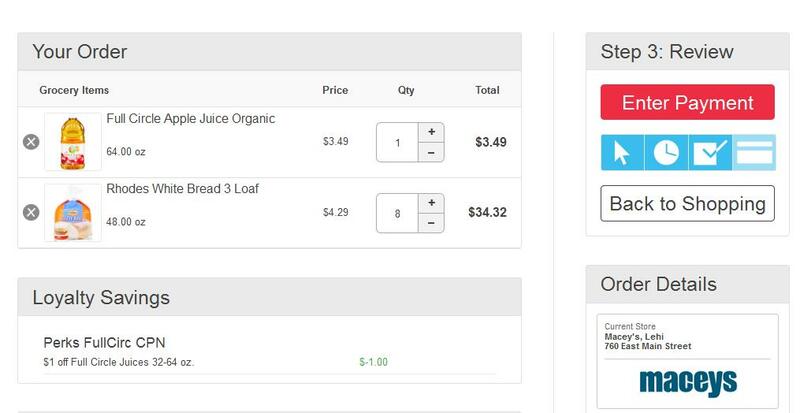 Watch for your coupons and rewards discounts to be deducted during step three of checkout. Please note: wallet credit cannot currently be used through Macey’s Anywhere™. To use your wallet credits, please shop in-store. We are working on adding this feature, please stay tuned for details.